After playing at Carnoustie we drove back to Edinburgh Airport and dropped our rental car back. We then took the tram into Edinburgh City. We are staying in more student accommodation not far from the city centre. We had tickets for the Tattoo which I had ordered online. 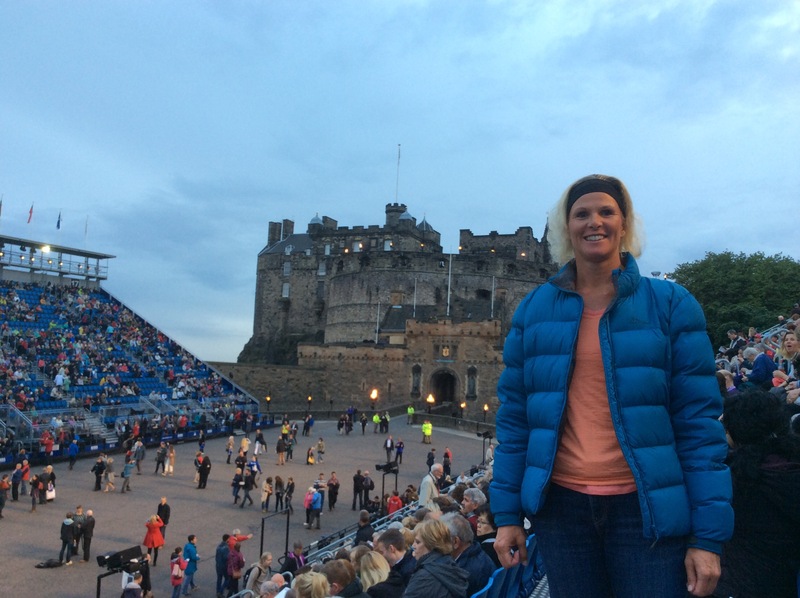 I went up to the tattoo offices to pick them up and had a quick look around on the Royal Mile that leads up to the Castle. 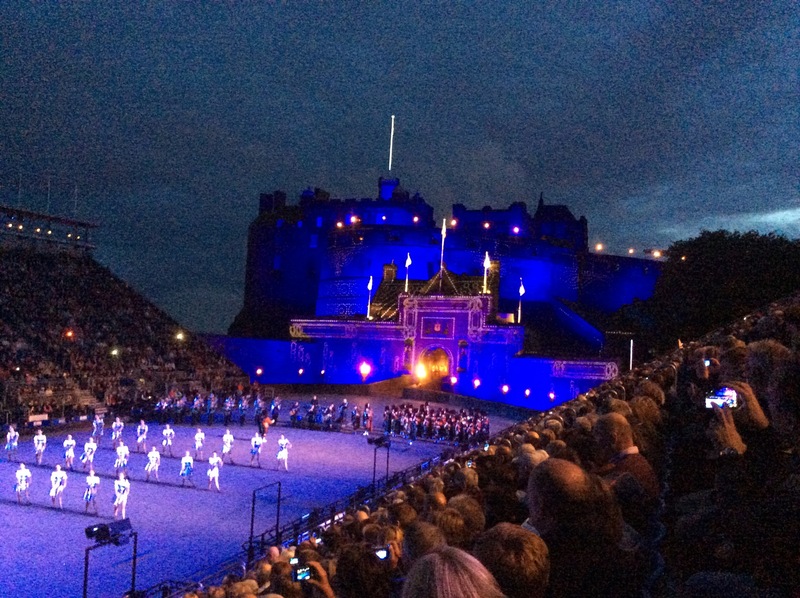 It was full of street performers and people – August is the Fringe Festival month in Edinburgh of which the Military Tattoo forms part of. The show started at 9pm so after a quick bite we joined the queue to get into the castle. We had great seats. 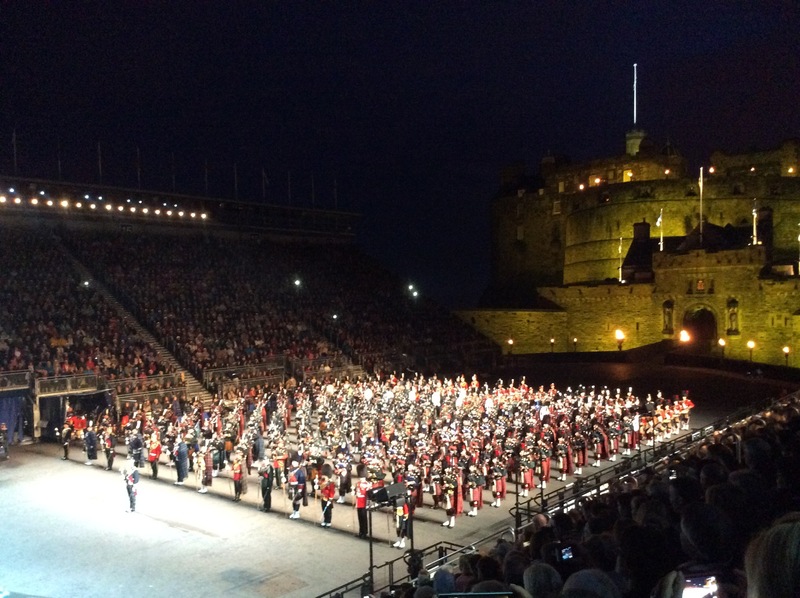 The performance started with the massed bands which are amazing. 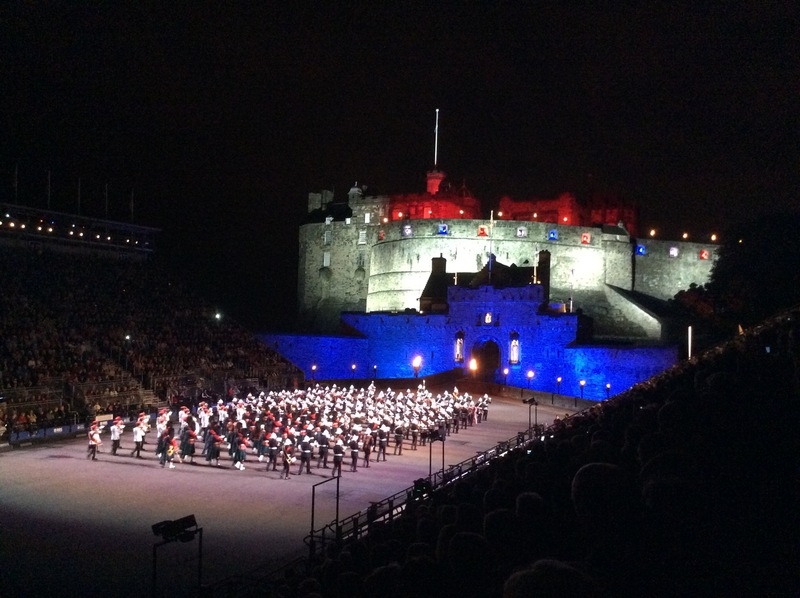 The theme of the 2014 Tattoo was all about celebrating Our Home, Friends and Family and it had a real global feel as the bands and performers are from all over the world. We had performances from Zulu dancers, a steel band from Trinidad and Tobago, a brass band from Singapore, a military band from Malta and our very own Kapa Haka group from NZ. Our Kapa Haka group were joined by some Scottish dancers from NZ and the theme of their performance was the integration of the two cultures as many Scots have immigrated to NZ over the years. 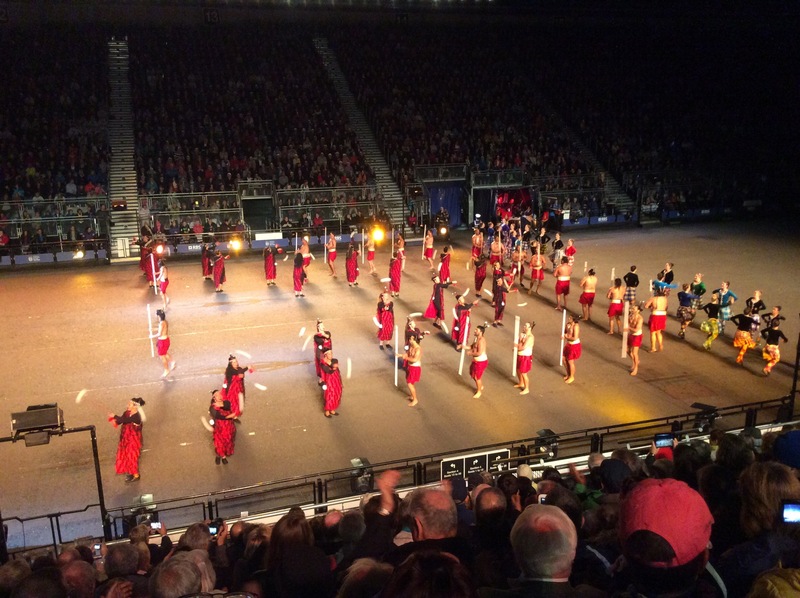 It started with a traditional Maori theme but morphed into modern day with both the Kapa Haka Group and Scottish dancers performing to the same music. The Kapa Haka group finished off with the traditional haka which was fantastic. The beginning of the end of the show was started with a lone electric guitarist playing what we thought was a Mark Knopfler song. 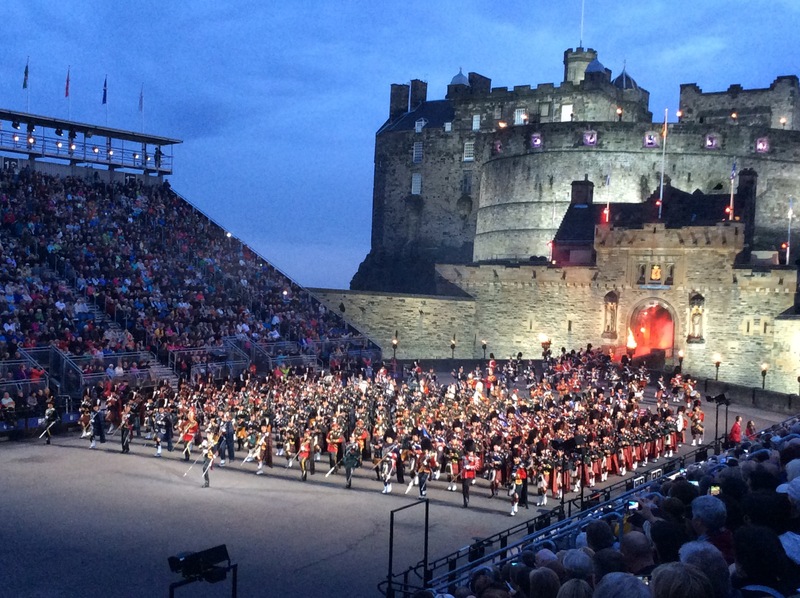 The bagpipes and then the rest of the band then joined in – it was truly WOW! After they finished a lone piper stood on top of the Castle and played a tune in remembrance of all those people who have lost their lives in battle. Another spine tingling experience. All the performers then came onto the esplanade as the massed bands played various modern songs that all the performers danced to – it was announced as the greatest party on earth and the mixing of all the cultures in one spot was fabulous. To finish off we all crossed arms and held our neighbours hands to sing Auld Lang Syne. It truly was a great spectacle and I loved every minute of it. 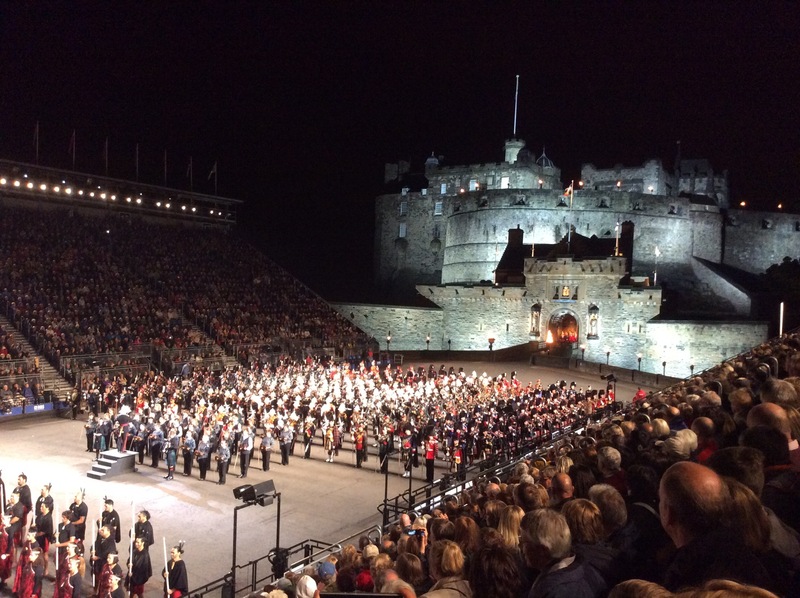 The Royal Edinburgh Military Tattoo is an annual series of Military tattoos performed by British Armed Forces, Commonwealth and International military bands and display teams on the esplanade of Edinburgh Castle in the Scottish capital, Edinburgh. 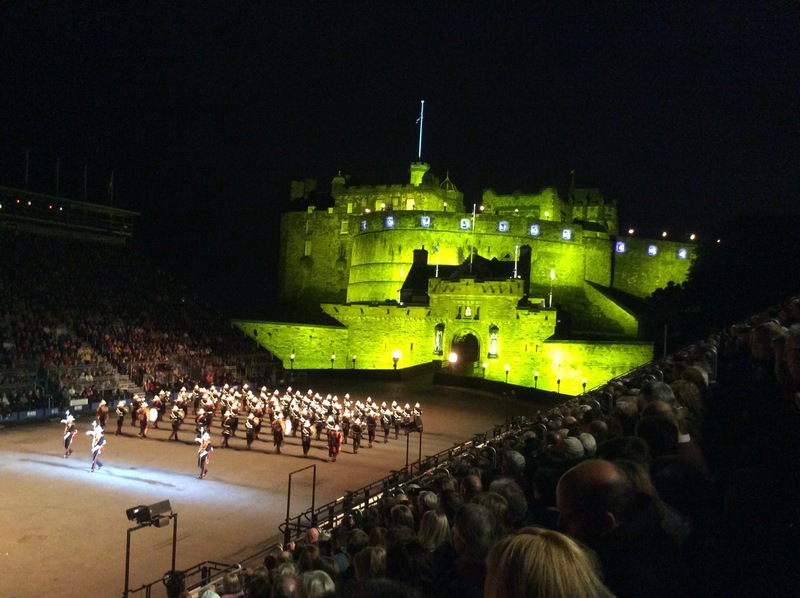 The event takes place annually throughout August, as part of the wider Edinburgh Festival. The word “Tattoo,” is derived from “Doe den tap toe”, or just “tap toe” (“toe” is pronounced “too”), the Dutch for “Last orders”. Translated literally, it means: “close the (beer) tap”. The term “Tap-toe” was first encountered by the British Army when stationed in Flanders during the War of the Austrian Succession. The British adopted the practice and it became a signal, played by a regiment’s Corps of Drums or Pipes and Drums each night to tavern owners to turn off the taps of their ale kegs so that the soldiers would retire to their billeted lodgings at a reasonable hour. With the establishment of modern barracks and full Military bands later in the 18th century, the term Tattoo was used to describe not only the last duty call of the day, but also a ceremonial form of evening entertainment performed by Military musicians. 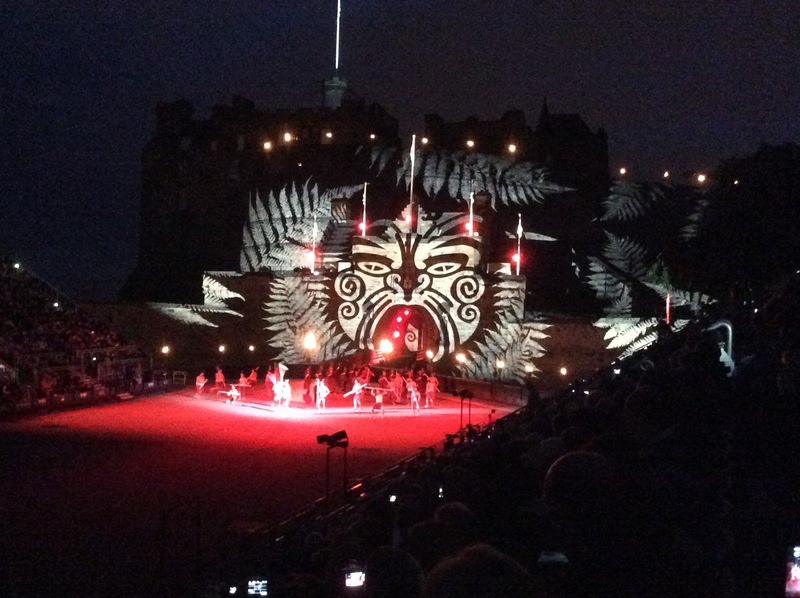 Now, on average, just over 217,000 people see the Tattoo live on the esplanade of Edinburgh Castle each year, and it has sold out in advance for the last decade. 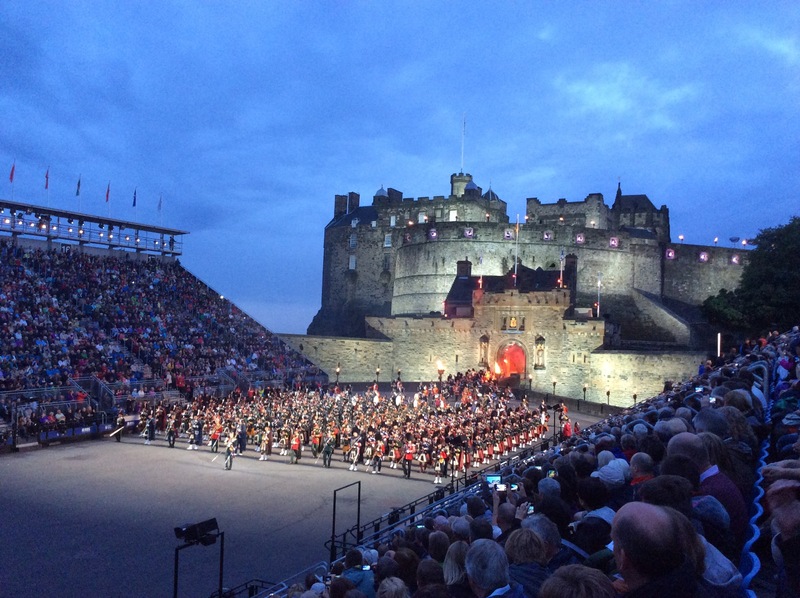 30% of the audience are from Scotland and 35% from the rest of the United Kingdom. 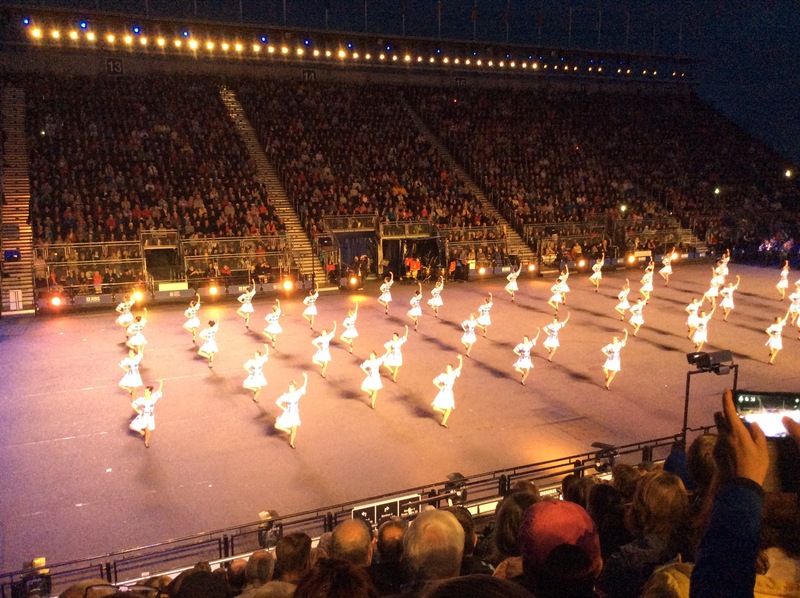 The remaining 35% of the audience consists of 70,000 visitors from overseas. 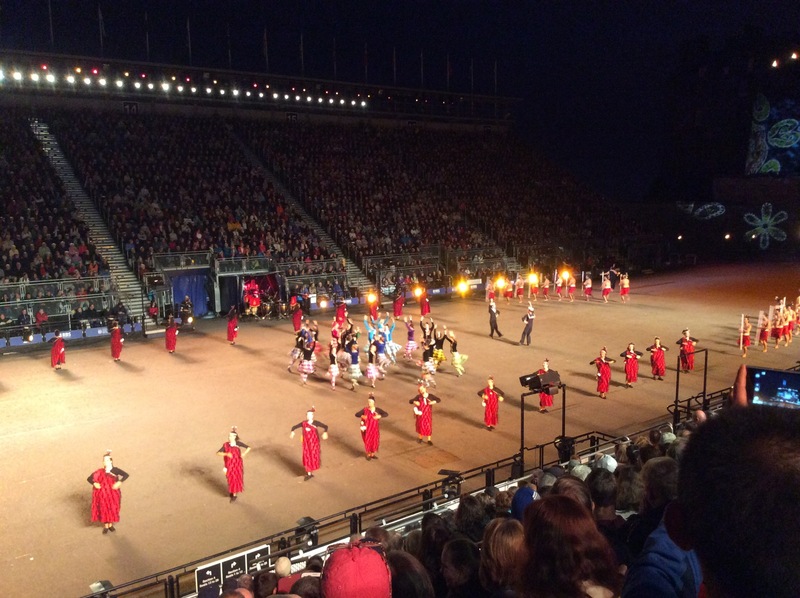 The Tattoo performance takes place every weekday evening and twice on Saturdays throughout August and has never been cancelled due to inclement weather. 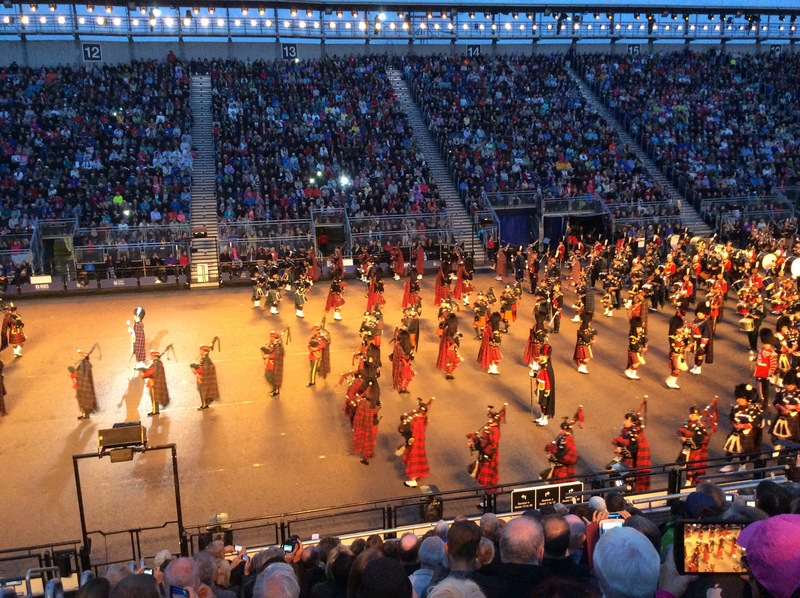 The Tattoo is televised in 30 countries and a further 100 million people see the event on television worldwide. 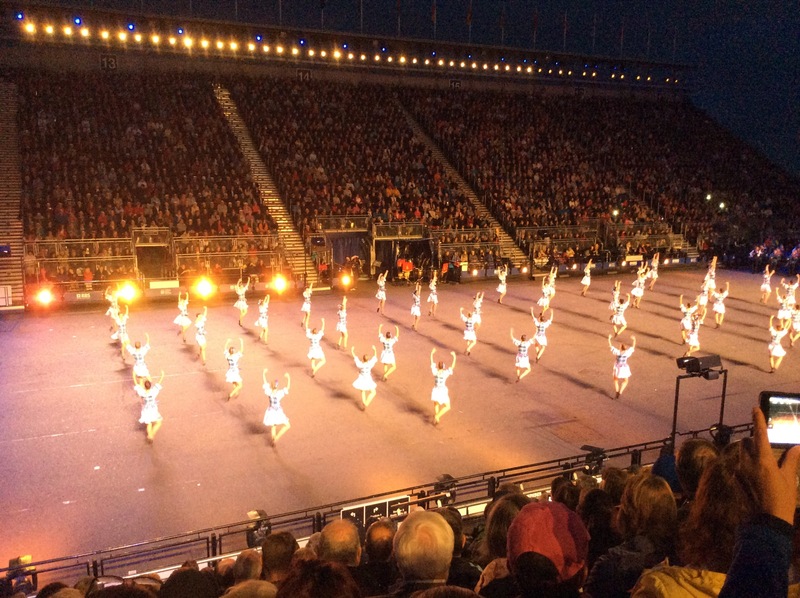 The Tattoo is run for charitable causes and over the years has given over £5 million to military and civilian charities and organisations, such as the Army Benevolent Fund. 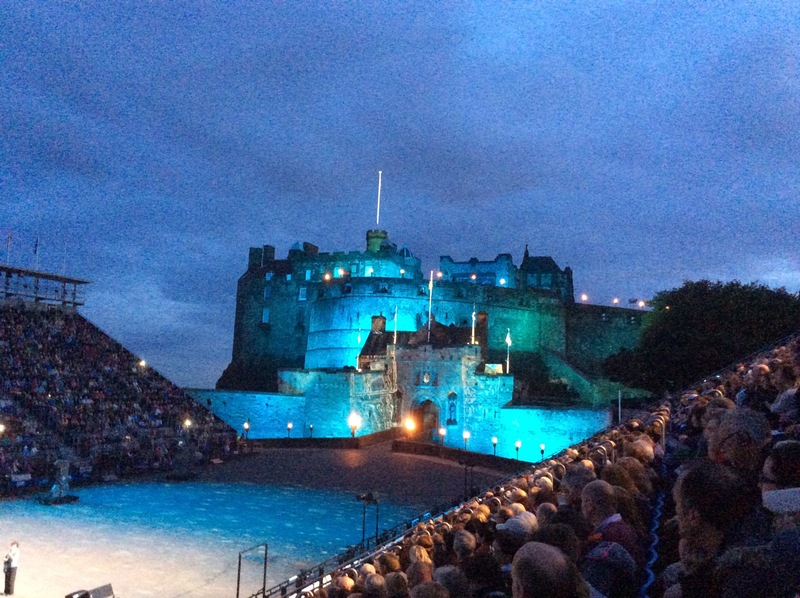 However, the greater benefit has been that, by independent count, it generates £88 million in revenue for Edinburgh’s economy annually.